Things are always busy at MTC, but the past few weeks have felt even more intense as we continue to move through our season of transition and change. School starting back in August is like the start of our new year. With that new year comes new students, new policies, new contracts, and tons of awesome new ideas!! I know that it can get confusing for everyone (myself, team members, and families included) because we are shifting things around and have several balls in the air. So, I wanted to share a few ways we stay organized and on the same page as a team and share some ideas you can implement as well. Know Your Role – I say it time and time again. Rachel and I make a great team! We work constantly to clarify and simplify our roles so that we can each play to our strengths and accomplish more within our company without repeating work. Knowing that I handle most of our internship details and HR topics while Rachel handles more of the PR and family contact/communication allows for us to easily designate who needs to handle new tasks and gives all of our team members a better idea who to talk to about certain topics. Honest, Clear, and Concise Communication – Being truthful and timely helps us to keep things moving. Even though we have a scheduled Tuesday meeting to talk about business matters, you will find Rachel and I in and out of the office using whatever little face-to-face time we have to quickly answer each others questions or have small discussions. I write down what we need to talk about so that we can communicate more effectively and move forward as quickly as possible. We also encourage regular communication with all of our team members and have an open door policy so we can address most issues and celebrate victories as they occur. Check out our facebook live video from earlier where I share secret number four and delve further into how we keep things running smoothly. We are looking forward to sharing more of the projects we are working on in the very near future! Stay tuned by following us on facebook or becoming a VIP member! A few weeks ago my cousin tagged me (and about a hundred other people) in a post on Facebook. The post contained a video entitled “what’s your why?” I liked the video and its inspirational message but didn’t think much of it at the time. Over the past couple weeks, it became more apparent though that “what’s your why” has been a kind of underlying theme the past few weeks without my even noticing it. Intention is a huge topic we’ve been tackling in all areas at MTC. If you caught our post about goals for the new year, it would make sense that figuring out intentions is essential in reaching those goals. Recent “why” questions include: Why are you providing that intervention? What is the purpose of this class? 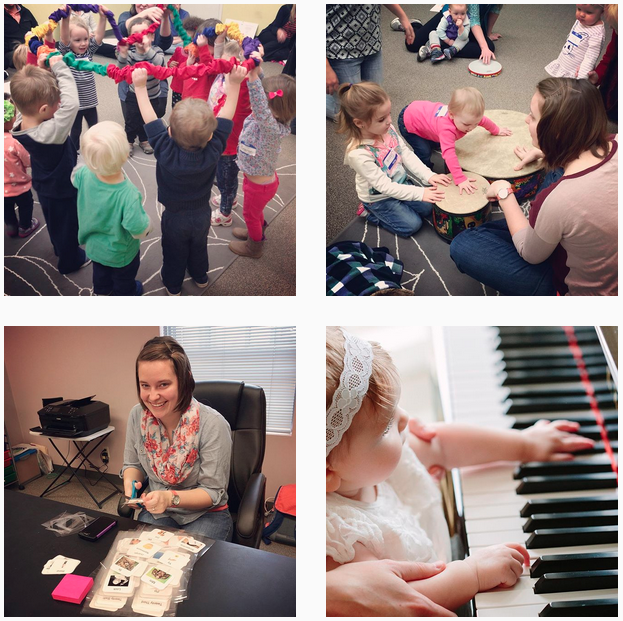 Why do you want to be a music therapist? What do you want to learn? What goals are you achieving through this song? Why do you want to be here? Why are we using this process? Why are we doing this? So I started thinking… as a leader, business owner, etc… What’s my why? Why am I doing this job??? Why am I here? BUT my why is stronger. It easily trumps everything and keeps me energized and in the game. My why means that I don’t think about most of the downs sides or hard days. My why keeps me smiling nearly all day every day. Because I LOVE IT!!!!!! I love seeing the excited look on a moms face when her son crawls for the first time in my class. I love the “ah ha!” moment when one of my students gets it!! I love writing new songs and hearing the kids I work with sing them. I love teaching an intern and working with people. I love writing, finding solutions, and constantly learning new things. I love seeing the families who come in the door week after week. I love the behind the scenes work that makes everything run smoothly. I love trying to make all the pieces fit. I love finding the answer to a problem. I love trying new things. I love watching people grow and knowing that I had a small part in it. I simply love it. I truly love it. That’s why.